It’s out folks! 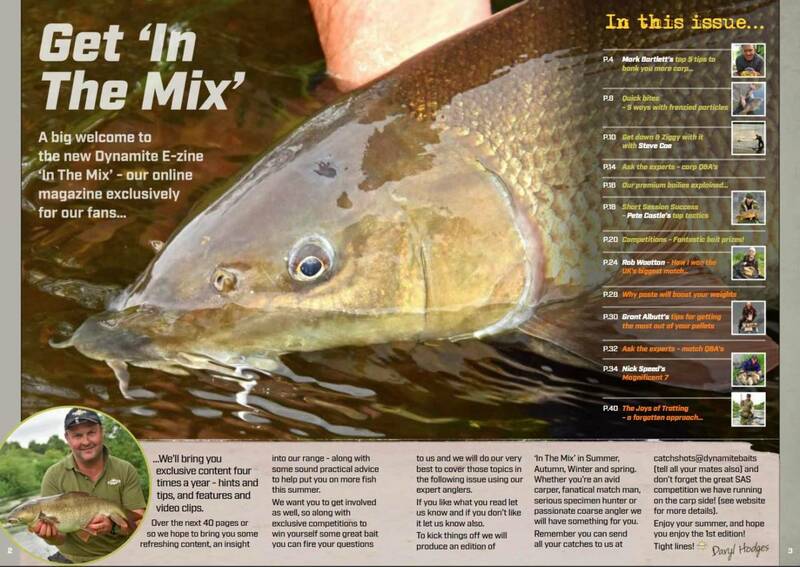 The new Dynamite E-Magazine ‘In The Mix’ packed with exclusive video, features and content to help you put more fish in the net whether you’re a carp angler, matchman or coarse fisherman. In the first edition we have features from some of the sport’s biggest names including the likes of Mark Bartlett, Rob Wootton, Steve Coe, Nick Speed, Pete Castle, Grant Albutt. There’s also two exclusive competitions. To get it, simply fill the form out below and click the link in the return email. Enjoy! !